This is the start of my second project for the new year. 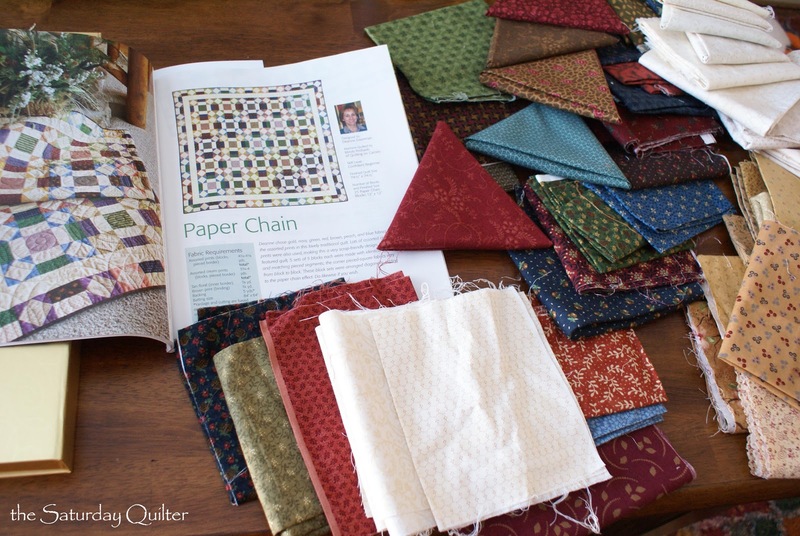 From the current McCall's Quilting magazine America Loves Scrap Quilts I am making a quilt called Paper Chain by Deanne Eisenman. Construction of the blocks is super simple - just squares and rectangles, and I will be able to use up lots of scraps along with a few new fat quarters! Love those fabrics! looks like what I would choose! Enjoy! That's a really nice quilt pattern and perfect for scraps. I like the fabrics you have chosen.